At the end of October, the administrator of the bankruptcy procedure Nobuaki Kobayashi will begin to consider applications for compensation of cryptocurrency exchange Mt. Gox creditors losses. By February 14, 2019 he has to provide to court the plan of rehabilitation and compensation. It is expected that after this date, users will receive long-awaited compensation, under which Mt. Gox to distribute about 160,000 bitcoins between investors. This is quite an impressive amount (about $ 1 billion at the current rate), and as the former exchange investor and the head of the WizSec research group, Kim Nilsson, already warned, the flow of payments under the civil rehabilitation program could completely crush cryptocurrency market. Nevertheless such large quantity of bitcoins even if investors won't start in large quantities selling them, and it will be done by parts, can really put the enormous pressure upon the market and lead to reduction of the first cryptocurrency price. Thus, Mt. Gox, once the largest and most influential bitcoin-exchange in the world continues to play an important role today. The website mtgox.com was registered back in 2007, and its original owner was the notorious American developer and entrepreneur Jed McCaleb, who later became the creator of the projects Ripple and Stellar. In 2010, McCaleb infected with the "virus" bitcoin, and in July of the same year the website transformed into a cryptocurrency exchange, whose users could issue warrants for the purchase and sale of cryptocurrencies, make deposits and withdraw funds. By the beginning of 2011 Mt. Gox became really popular: the daily exchange volumes was tens of thousands of dollars, which at that time, given the low price of bitcoin, was quite impressive. 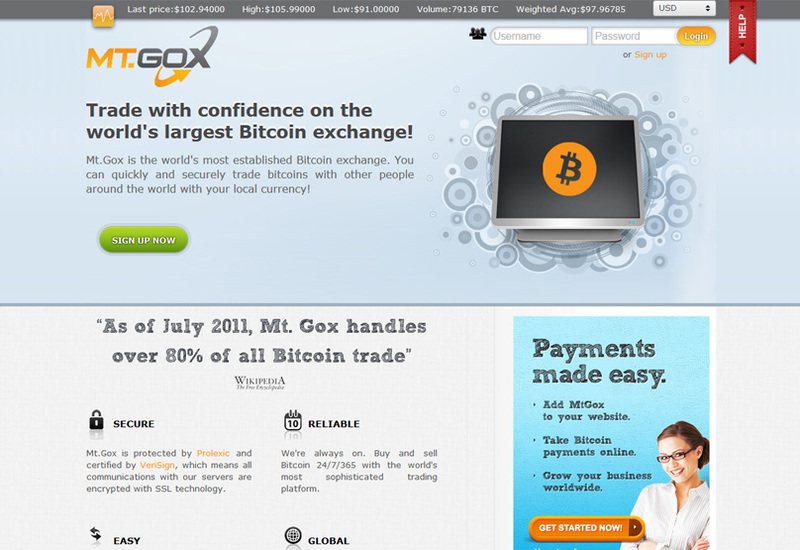 In March 2011 he sold the website to French entrepreneur and developer Mark Karpeles. It was great deal - Karpeles actually received a free 88% stake in the company, paying McCaleb 50% of cryptocurrency exchange profit in the first six months after the purchase. Probably the story of the exceptional negligence that accompanied Mt. Gox the whole history of the existence of the exchange, it began already then. In addition to the extremely favorable terms of the deal, Karpeles, for example, completely ignored the fact that the company's balance sheets already at that time supposedly lacked 80,000 BTC. Quite interesting were some parts of the contract for the acquisition of Mt. Gox, under which stood his signature. "The seller can not say with certainty whether mtgox.com responds to any applicable regulatory requirements at the federal or state or national law ... The buyer agrees to provide the Seller with protection against any prosecution against the Buyer or the Seller regarding mtgox. com or anything else purchased under the terms of this agreement. " A few months after Karpeles became the owner of Mt. Gox, cryptocurrency exchange had the first trouble. On June 13, 2011, cryptocurrency exchange announced a hacking with 25,000 BTCs loses from 478 accounts (about $ 400,000 at the exchange rate at that time). Four days later, on June 17, a database of users of the exchange was posted on Pastebin, but the company did not react to this incident. On June 18, Karpeles announced new cases of hacking accounts, and on June 19 at 17:15:36 UTC on Mt. Gox began a real drama - one of the users put up orders for the sale of several hundred thousand bitcoins. This inevitably led to the collapse of the course of the currency on the exchange: within half an hour it collapsed from $ 17 to $ 0.01. The largest recorded transaction for the sale of 261383.7630 BTC at $ 0.01 was completed at 17:51:16 UTC - to understand the scale of what happened it can be noted that this amount was about 4% of the currently circulating 6.5 million bitcoins. Soon the news of the incident began to spread, and within the next half hour on Mt. Gox and other exchanges, there was a huge volatility: the rate "jumped" from $ 1 to $ 20. By the time Karpeles finally proceeded to investigate what had happened. As a result, he concluded that the hacker had compromised McCaleb's old administrative account, and stopped the exchange operation. On the same day, unknown posted a full list of Mt. Gox users on one of the online forums: email addresses and passwords. In total, the list contained data of 61,016 accounts with balances of more than $ 8.75 million. Moreover, many of the passwords were simple unprotected MD5 hashes, which could be cracked with the usual brute force. On June, 21 Mt. Gox began to accept users' requests for account recovery, processing them manually. For this, a whole arsenal of using measures, including the provision of old and new passwords and verification of the mailing address. In some cases, the exchange asked for the latest known balance on the stock exchange and provide copies of identity documents. On June, 23, wishing to demonstrate to users that Mt. Gox is still controlling the bitcoins, Mark Karpeles carried out a transaction in the amount of 424,242.42424242 BTC, transferring these funds from the cold storage to the exchange's address. And already on June 26, a week after the break-in, Mt. Gox resumed work. Fraudulent transactions were really unscrewed back at the expense of the company's own funds. The password hashes were protected with SHA-512, additional security was supposed to provide another level of user verification. The bitcoin rate stabilized around $ 16.50, no one tried to sell more or withdraw large sums. It seemed that everything would be all right now. After Mt. Gox coped with the first serious challenge, the work of the exchange stabilized for some time. Moreover, by 2013 it actually became the largest player in the market, processing more than 70% of all bitcoin-transactions. Mark Carpéles himself became an equally important figure - the Frenchman distributed numerous interviews to leading media outlets, and also became a member of the founders of the Bitcoin Foundation. The office of Mt. Gox in the fashionable Tokyo Shibuya district. Nevertheless, despite external success and prosperity, the company experienced serious technological and legal problems. So, shortly after the bankruptcy of Mt. Gox its former employees in an interview with Wired said that the exchange did not use any control systems based on software. In fact, this meant that one employee could accidentally change the code written by another employee, but there was simply no history of change, no reliable mechanism for returning to the working version. It also became clear that Karpeles was the only one who could approve the changes in the source code of the site, because of which the elimination of bugs and security problems could take several days, and sometimes even weeks. The test environment for quality control was introduced only in the spring of 2013, almost two years after Karpeles acquired the exchange. Mt. Gox did not escape lawsuits. In May 2013, the American company Coinlab filed a lawsuit against her for $ 75 million, accusing the exchange of breach of contract terms, under which Coinlab was to start serving North American customers Mt. Gox. February 7, 2014 Mt. Gox, again suspecting something amiss in the users' balances, completely stopped the output in bitcoins, explaining it by intention to get "a clear technical picture of currency processes." Three days later, a press release was published, according to which the problem could lie in the plasticity of transactions and the probable double spending of coins. To solve the problem Mt. Gox, as Karpeles claimed, turned to Bitcoin Core developers for help. A survey conducted at the same time by CoinDesk showed that 68% of Mt. 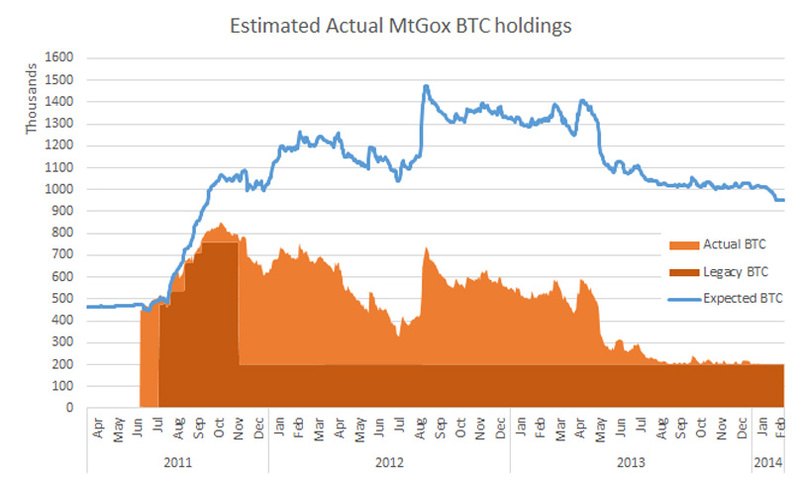 Gox is still waiting for the requested funds to be withdrawn, and the average waiting time was from a month to three. At the same time, Mt. Gox has met the protests of investors, head of which was Colin Burgess with a poster "Mt. Gox, where is our money? " Colin Burgess estimated his losses in Mt. Gox at $ 300 million. On February 20, citing the need to ensure security, the exchange office moved to another location in Tokyo, and four days later Mt. Gox stopped trading. On the same day, six other largest exchanges at the time - Coinbase, Kraken, BitStamp, BTC China, Blockchain.info and Circle - distributed a joint statement calling the actions of Mt. Gox "a tragic erosion of user confidence" and distanced themselves from the actions of Mark Karpeles and his company as not reflecting the true values ​​of the bitcoin industry. It is noteworthy that the day before, Karpeles left the Bitcoin Foundation without explanation. At the same time, all messages in the official tweet Mt.Gox were deleted. 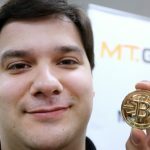 On February 28, Mark Karpeles announced the bankruptcy of Mt. Gox. The exchange filed for protection against creditors under the law on bankruptcy, announcing that its debt to investors is about 6.5 billion yen (at that time this amount was estimated at $ 65 million). The amount of available assets Mt. Gox at the same time was 3.8 billion yen. 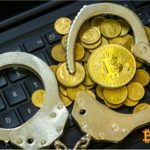 It was also stated that due to "weaknesses in the system", the exchange lost 744 408 BTC's owned by customers, as well as about 100,000 own bitcoins. In total, this accounted for about 7% of the then-in-circulation 12 million bitcoins, and the total amount in dollar terms was estimated at $ 480 million. "I'm sorry that this happened," - said Marc Karpeles, laying the blame for the missing bitcoins on hackers. On March 11, 2014 Mt. Gox filed for protection from creditors already in the US. By that time, collective claims had already been filed against the cryptocurrency exchange in the Chicago and Illinois district courts, in which investors accused her of fraud. The official filing for protection against creditors helped the Exchange postpone the proceedings. On March 20, Mt.Gox reported that it had discovered 199,999,99 BTC in one of the old purses used by the exchange until June 2011. As the stock exchange claimed then, she believed that these purses were already empty, but decided to check them once more, in the process discovered coins, the amount of which in dollar equivalent at that time was about $ 115 million. 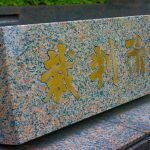 Despite the detected bitcoins and a decrease in arrears of up to 650,000 BTC, the appointed administrator of the bankruptcy procedure Nobuaki Kobayashi considered that the rehabilitation process of the company would be too complicated, and on April 16, 2014, the Tokyo District Court ruled to close Mt. Gox. 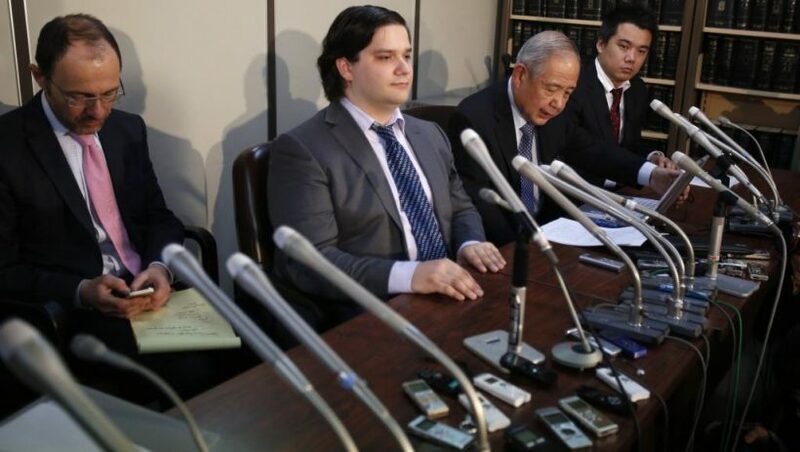 Many investors remain convinced that Mark Karpeles has hidden some of the funds to avoid their reimbursement. There are also those who insist that Mt.Gox never owned the number of bitcoins that was publicly announced, and Karpeles simply drew numbers to give the exchange more weight. History of Mt. Gox was incomplete without mentioning trading bots, which, under some assumptions, could be managed by Karpeles himself. In May 2014, an anonymous report was published on the network called The Willy Report. It said that the exchange actively used several trading bots, the most famous of which were Willy and Marcus. Willy placed a purchase order, which for a long time led the price of bitcoin, while Marcus engaged in the sale and purchase of bitcoins at random prices. Peak activity of these two bots fell in October and November 2013, when there was an unexpected increase in the price of bitcoin. Willy worked until the end of January 2014, buying about 100 BTC per hour at intervals of 5-10 minutes. At the beginning of December 2013, the bitcoin price reached its first noticeable historical maximum, exceeding $ 1100, and it was "to merit" Willy that the course for Mt.Gox was often significantly higher than on the other websites. By November 2013, these Willy and Marcus bought 570,000 BTC - quite an amount to seriously affect the rate. Later, researchers from Tel Aviv University and the American University of Tulsa in their report "Price Manipulation in the Bitcoin Ecosystem" confirmed the suppositions that bots Mt. Gox was responsible for a sharp rise in the price of bitcoin in 2013. Then the price of the crypto currency in just two months rose from $ 150 to $ 1000, while the price for Mt. Gox also stimulated the growth of trading volume on other exchanges. If you leave behind the criminal element of the history of Mt. Gox, you can found several lessons at once, which can be useful for both IT professionals and owners of crypto-currency business. First of all, these are issues of leadership, people and values ​​of the organization - they are the foundation on which the success of any enterprise is built. Whatever individual talents in the field of programming McCaleb and Karpeles did not possess, there was not enough knowledge and experience to manage the development team and financial services at that time. It is also important to note that in the sad end of Mt. Gox is not to blame for bitcoin and its software component, but financial accounting systems and the company's inadmissible careless approach to security in general. Finally, communication with customers. This aspect is always important, and it becomes even more important in crisis situations. If at the time of hacking Mt. Gox in June 2011, the exchange notified the users about this quite quickly, then during the events of the winter of 2014 it took several weeks for this - an absolutely unacceptable approach when dealing with customers. However, ordinary users and primarily investors Mt. Gox is now interested in paying compensation and how this will affect the market. 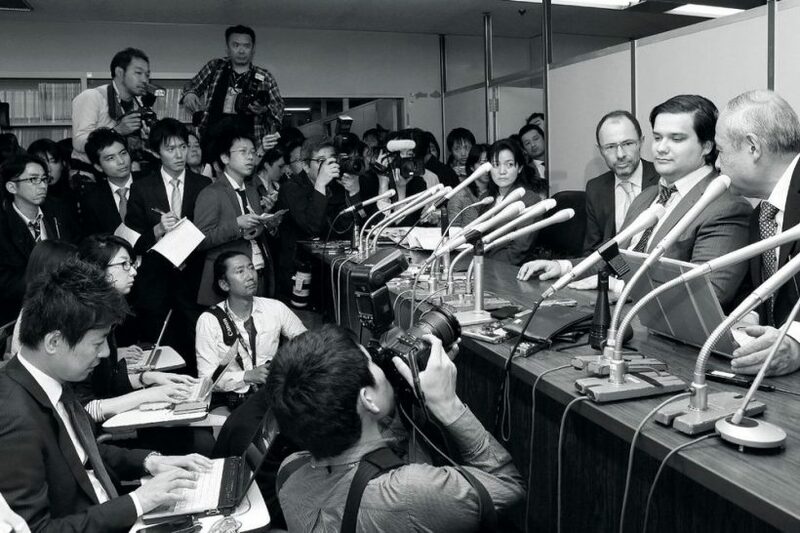 Probably, the increased volatility will begin already on September 26, when Kobayashi will report on the state of assets of Mt.Gox at a meeting with creditors in Tokyo. And the more assets there are to the distribution, the stronger will be the potential pressure on the already stagnant market. © 2018 bit.news | queries 235, for 0.170 sec.